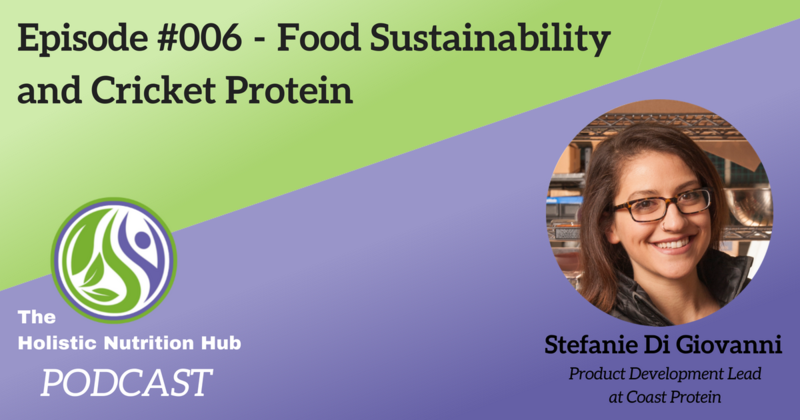 In this week’s episode, Lynne interviews Stefanie Di Giovanni, head of product development at Coast Protein, about how Cricket Protein fits into a system of sustainable food supply. Stefanie is a holistic nutritionist and head product developer at Coast Protein. Passionate about creative cooking and nutrition; she devotes her time to experimenting with insect protein, growing fermented foods and learning Italian.